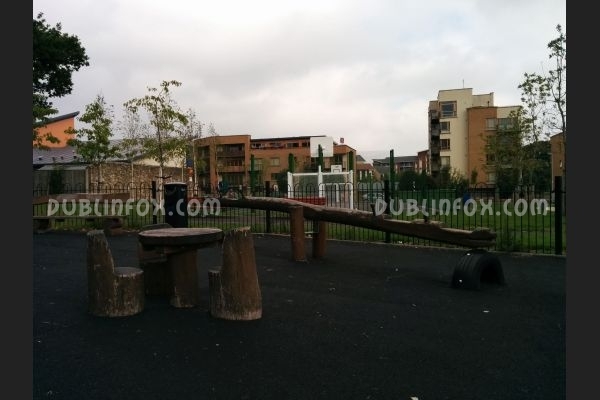 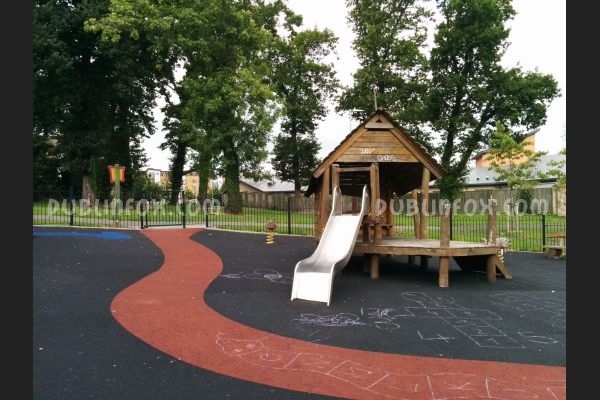 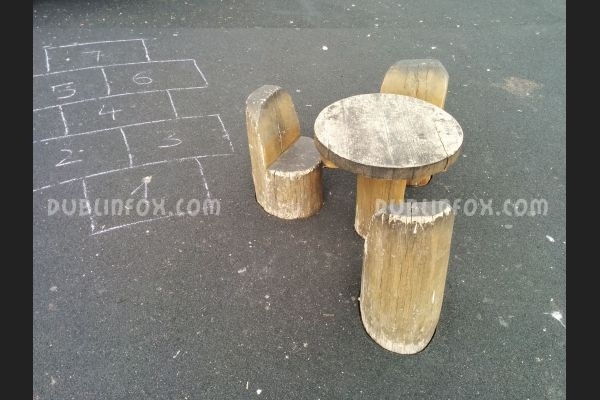 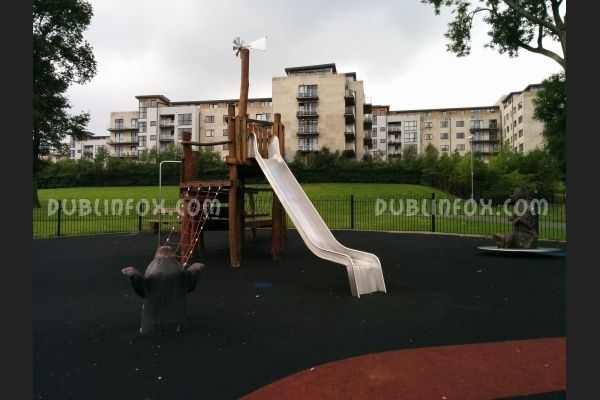 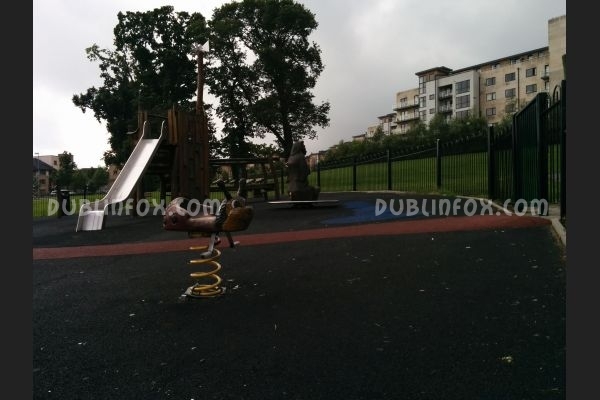 Lovely urban playground seasoned with a pinch of nature due to its wooden play equipment. 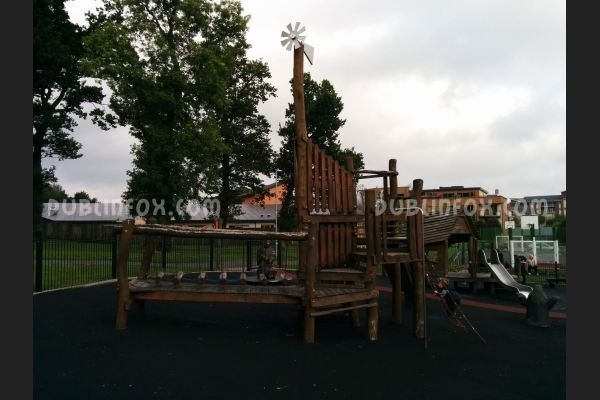 It is more suitable for toddlers than older kids, over 8 there is not much to do here. 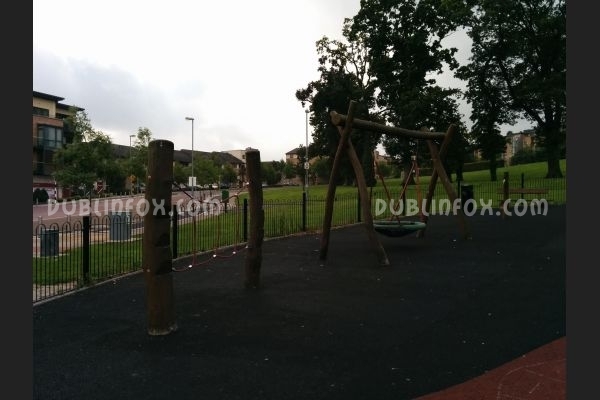 Unfortunately there are no baby or normal swings in the playground, however, there is a basket swing and a hammock near the entrance.